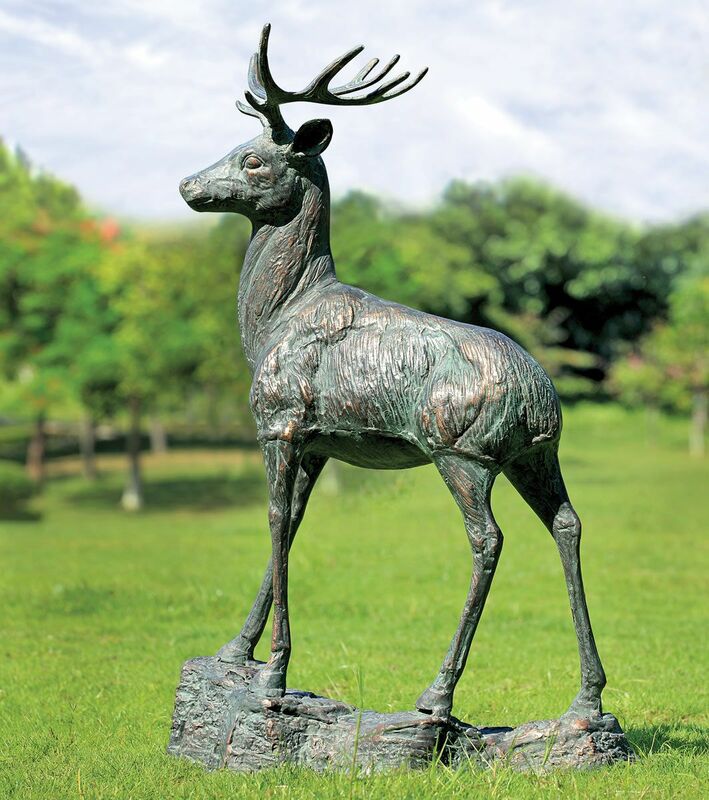 A Black Forest Décor Exclusive - Bring rustic elegance to your garden with this cast aluminum stag with a patina-look finish that will age beautifully in sunlight. Use a UV protectant if preferred. 27 1/2"W x 14"D x 41 1/2"H. 21.5 lbs.